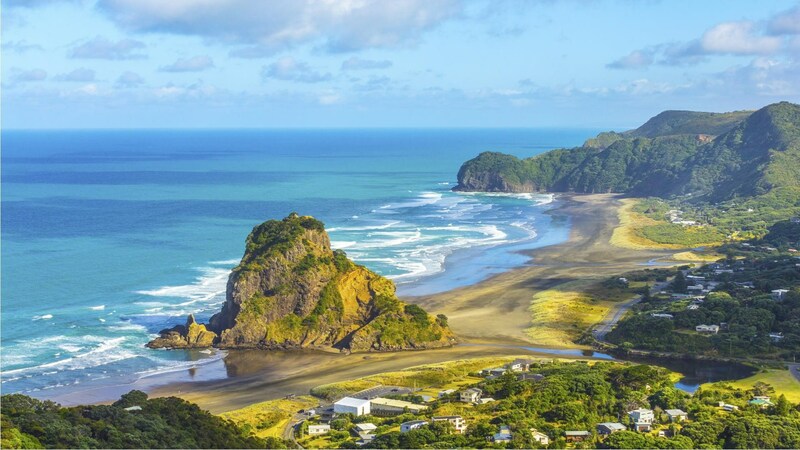 Located at the cost of the North Island in New Zealand, Piha is a renowned surf beach. 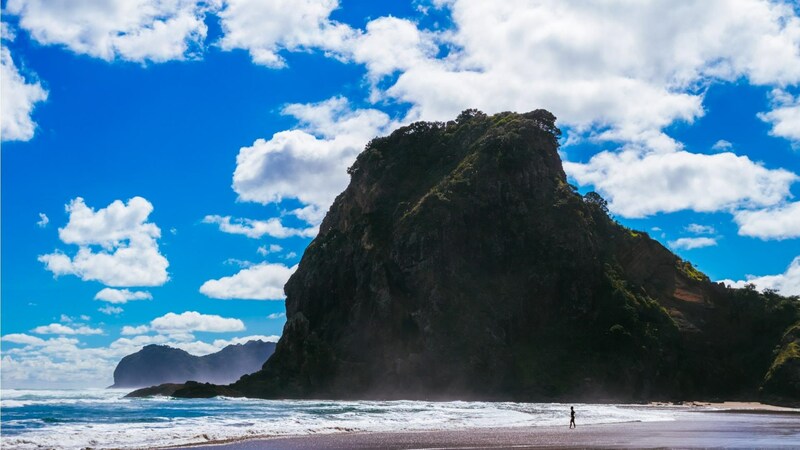 Piha is a black iron-sand beach and has a track-record of perfect surfs rolling over the Tasman Sea. Read on to see this uniqueness on the West Coast Discovery. We will begin the tour by picking you up from the Auckland City or the Airport. 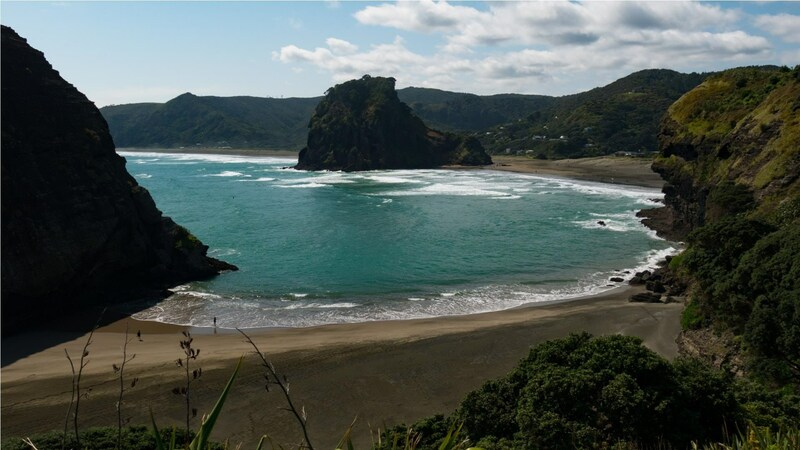 We will drive you through the scenic Waitakere Ranges and stop at the Lion Rock and the Piha Beach for a scenic lookout. Once at the Kitekite waterfalls, you will spend about half an hour hiking each way up the waterfall and back. 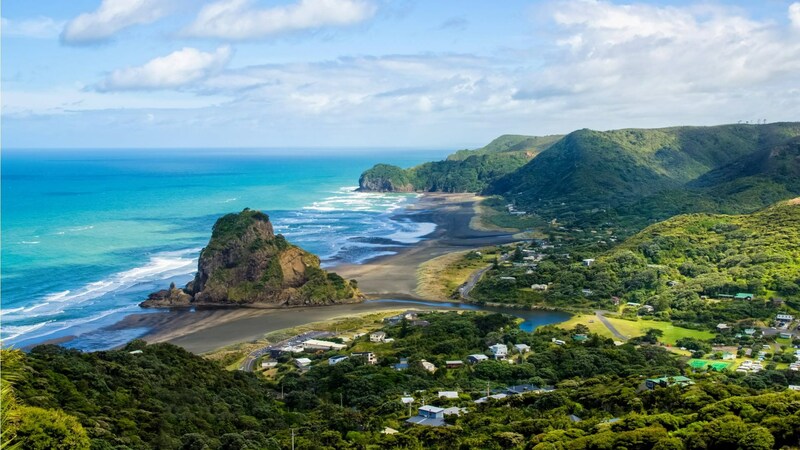 Our next destination will be the most famous Piha surf beach. You will have an opportunity to swim or just relax as you enjoy the amazing view. Walking up the Lion Rock at the middle of the beach will be perfect for a stunning photo shoot. After the activities of the day, we will take you to the most famous and experienced family-owned wineries. You will have a chance to listen to their stories, taste their unique wines, and visit the picturesque vineyards. The countryside of the west of Auckland was the beginning of a journey of excellence. We will take you to the cellar door for wine tasting. You will have a variety of vintage wines stocked in the cellar door. We offer eight wines for tasting. Wine tasting is the peak of our tour. We will head back to the airport or the Auckland City. Have an adventurous tour, Beach Horse Riding & Luxurious Wine Tasting with us The beach horse riding & wine tasting tour is perhaps the most adventurous escape. 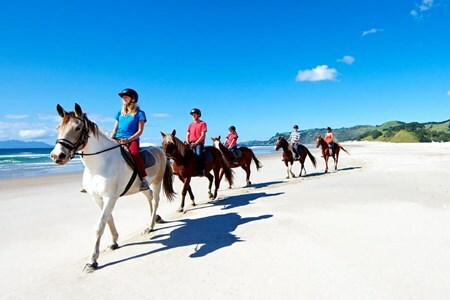 You will enjoy ... morea perfect horse ride on the sandy beaches and blend this with some New Zealand’s wines. You can have all this fun after a stroll on the breathtaking sculpture tracks between the vineyards. 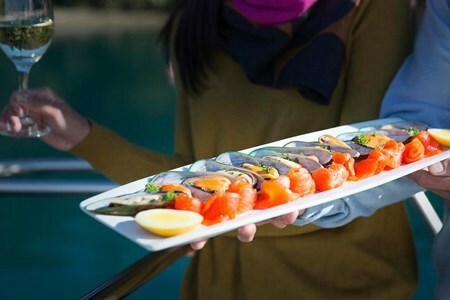 Your tour will begin by a pickup from your accommodation in the airport or the CBD of Auckland. The next destination will be the north of Auckland. You will have an opportunity to view the scenic views of the roads of Rodney. You will get a chance to meet your tour guide and your preferred horse once you are at our horse riding. Your tour guide will be helpful during the ride as he or she will give safety instructions and guide you on how to ride the horse. 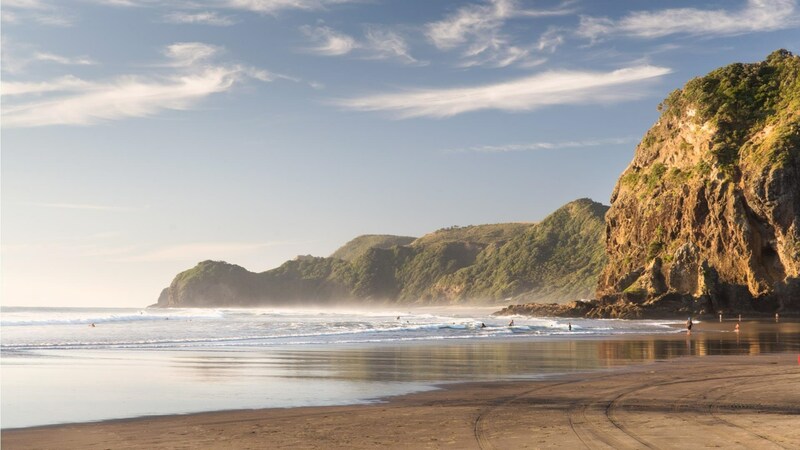 You will have an opportunity to ride on the most beautiful beaches in New Zealand as you view over the blue waters soaking in the sunshine and embracing the white beaches. Once you’re done with horse riding, we will take you to have a look at the unique art in the Vine Leaves and have a taste of the Unique New Zealand’s Wines. Wine tasting marks the end of our tour. We will take you back to your accommodation place in Auckland City or the Airport. Glide through the inspiringly beautiful bushland and beachside trails of Waiheke island on a cool, contemporary segway. Our SegWai tours are a brilliantly innovative way to explore ... morethe islands astounding wine growing regions. 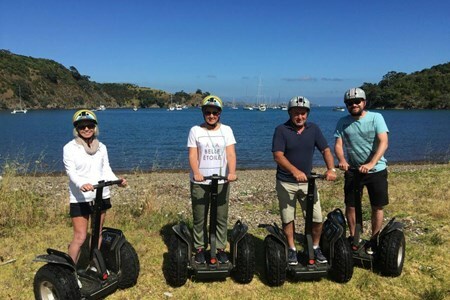 Needless to say, your two hour segway journey will be punctuated by plenty of stops off at delightful Waiheke wineries and vineyards, as well as sites of particular significance when it comes to the local Maori culture. Once you have finished the segway tour, the wine tasting tour itself will properly begin. We will whisk you away in a deluxe coach and take you to three of Waiheke's glorious boutique vineyards where you can see the grapes ripening on the vine and treat yourself to a taste of the finished product. Once you have completed the wine tasting experience to your satisfaction, we will bring you a delightful lunch venue set within a lovely vineyard where you can replenish your energies with some gourmet food. Overall, this is a relaxing and very inspiring tour to choose.